I took care of my mother for 8 and a half years - 3,112 days - until the day she went to Heaven on May 25, 2012. If you are a caregiver, I know how you feel. I understand how you might be feeling each day. I understand because I lived it myself. As it turned out for us it was a long and arduous journey. A journey that started with fear, burden, and heartbreak; and ended, with feelings of great accomplishment and Joy. Caring for my mother in her greatest time of need was the greatest accomplishment of my life. I know that other caregivers come to the same conclusion. 1. One of the first things I learned in my battle with Alzheimer's was caregivers often feel angry, frustrated, and agitated during the day. I wish our relatives and friends better understood this. I wrote, Sitting in The Front Row with Alzheimer's, not only for persons caring for someone living with dementia; but also, for their families and friends to read. You might consider sharing this so everyone can better understand what it is like being us. 2. I learned that a person you know all or most of your life suddenly changes. This makes communication very difficult. This person, your loved one, begins to act out behaviors that you never saw or experienced before. In the early stage of Alzheimer's meanness and nonsensical behaviors are hard to accept. In the beginning you want to scream. This is the typical reaction when a person is intentionally mean to you. But Alzheimer's patients are rarely intentionally mean. More likely they are confused. Never forget they are the person living with dementia, and they are also trying to deal with this new and horrific change that they cannot understand. 3. I learned how difficult it can be to separate out the causes of the disease from the person living with the disease. We tend to blame the deeply forgetful for their actions, instead of trying to understand the causes of Alzheimer's and how Alzheimer's causes these often hard to understand, difficult behaviors. I learned that one of the most difficult things you will ever have to do as an Alzheimer's caregiver is separate out the disease from the person. I wrote these articles to help other caregivers understand. 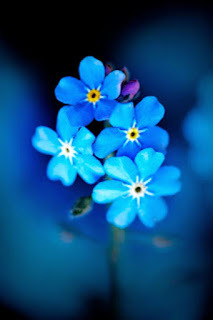 I wrote the articles you can find in the Alzheimer's Reading for caregivers, these articles have been read more than 30,000,000 times. They are worth reading and worth sharing. It wasn't easy coming to those conclusions. It took me years to do it. Go here to find the solution to the problems you are having right now. If you don't find what you need use the contact page and send us your problem, we will do our best to get you an answer and publish it here - for all to read and benefit from. It is very difficult to separate the person living with Alzheimer's disease and Alzheimer's disease into two distinct separate parts. I learned and realized that persons living with Alzheimer's or a related dementia are our loved one's - not the enemy. I learned this important lesson and you should remember this each day. I don't want to give you the impression that any of this was easy. We had to adapt and make changes as the disease progressed. For example, when I took my mother out to dinner at a nice restaurant she wouldn't say a word -- for 45 minutes or longer. I suppose she was intimidated or disconcerted by this new unfamiliar environment. By the time we arrived back home I had a stomachache. The behavior was breaking my heart, and my stomach. How did I adapt? I started taking her to smaller, more relaxed restaurants. We would often sit at a bar and eat. Guess what happened? My mother started holding conversation with the people around her. We are often lead to believe that Alzheimer's patients can't or don't want to communicate - this is not true. Her is another important thing that happened. I realized people really like my mom. Alzheimer's patients are often sweet, nice, and kind when put in the right environments. 4. I finally realized that I needed to analyze the patterns of behavior - my mother's patterns of behavior. I started looking very closely at the good versus the bad. I thought about each problem one by one. I thought I might be able to discover a solution and change these bad patterns. I did. Why was my mother like this and what could I do about? Instead of making it all about me, I started making it all about my mom. It worked. This was a lesson well learned. Not only did this allow us to start living our life again -- it brought with it several additional unexpected benefits. Exercise, socialization, and bright light. I have written about these before, and they all helped improve our day. Each learning experience lead to my own metamorphosis as a caregiver. I learned how to accept that what my mother was doing was normal to her. What I did not accept was that it had to remain that way. After all, Dotty was my mother - not the enemy. Who is the Enemy - Alzheimer's or Our Loved One?